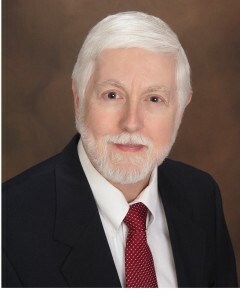 Gianni Pirrelli, PhD is a licensed New Jersey clinical psychologist and a friend of DRGO. He has shown sympathy for folks whose firearms have been confiscated and are trying to convince government that they are actually safe and responsible and deserve them to be returned. 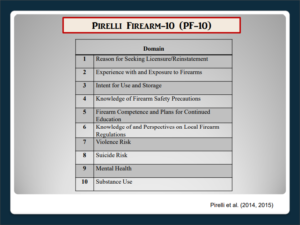 The subject for Dr. Pirelli and his co-author Philip Witt, PhD, a forensic psychologist, in this new paper is the culture of firearms ownership. It was just published in the Journal of Aggression, Conflict and Peace Research in July. Dr. Pirelli forwarded it to us and was willing for us to see it shared with our readers. We can’t show the original, since it is (as are too many) behind a paywall, but we hope this freely quoted review will present it fairly and usefully. The problem is that “Professionals can have preconceived perceptions and social preferences that impact interpersonal interactions. . . [This] ethnocentrism . . . is the tendency to view one’s personal norms as appropriate and others as deviant.” This blindness is endemic among anti-gun researchers and writers—if they don’t like guns, then liking them must be deviant. The authors point out that mental health professionals are more likely to encounter clients with these experiences than to have them themselves, so that few are prepared to be able to envision the world from the that point of view. 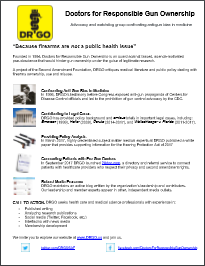 One major problem with this is that practitioners, properly concerned with risk of harm, too often equate possession of firearms with risk of using them, and may report clients to authorities for intervention too readily. Training to discriminate between these factors is simply not part of learning to do mental health risk assessment. Similar problems exist when professionals are asked to attest to clients’ fitness to resume possession of their firearms. 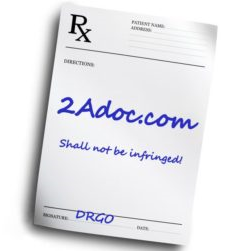 That is a bridge too far for many practitioners, which leaves too many confiscations in limbo. 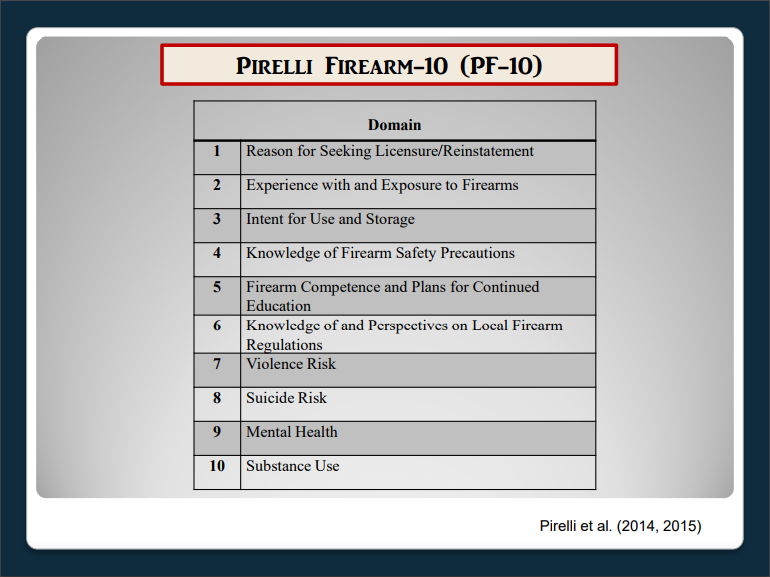 It is noteworthy that Pirelli with other colleagues developed a 10-point guide for practitioners to reference as they do such assessments, which may make these more accessible as it becomes better known. (See the Pirelli Firearm-10 [PF-10]). People’s ideas by be influenced by such experiences, or from exposure to others who have. 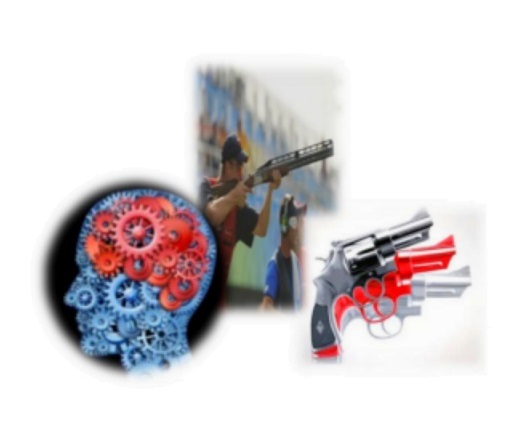 The obvious conclusion is that “mental health professionals will be more effective at providing professional services if formally educated on firearms and firearm-related issues. . . .[and] must develop cultural competence associated with the . 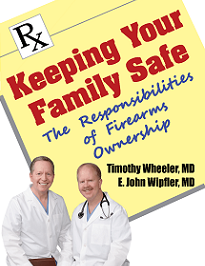 . . populations we have outlined.” This leads to their recommendations that practitioners who are likely to work with people who have possibly divergent opinions and experiences of firearms need to educate themselves about all aspects of these potentially foreign attitudes. That should not only include familiarization with literature about guns in society (both pro- and -con) but also hands-on safety and shooting training with firearms. It’s good news that Pirelli and colleagues plan to publish a textbook later this year that covers and fulfills these educational needs. It’s even better news that someone in health research takes seriously how normal firearm use is in America. — DRGO Editor Robert B. Young, MD is a psychiatrist practicing in Pittsford, NY, an associate clinical professor at the University of Rochester School of Medicine, and a Distinguished Life Fellow of the American Psychiatric Association. 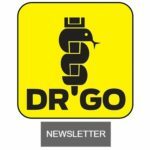 All DRGO articles by Robert B. Young, MD.